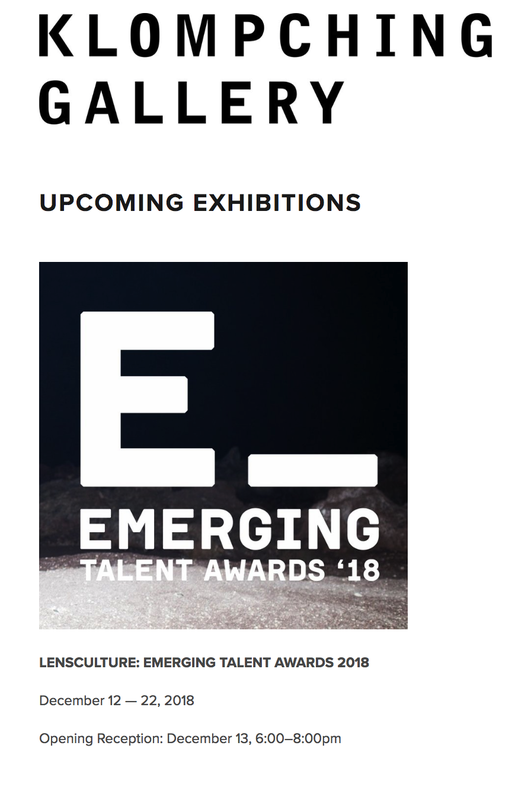 As one of the winners in Lensculture’s Emerging Talent Awards 2018 I will be included in their exhibition at Klompching Gallery in New York. The exhibition takes place from December 12 — 22, 2018. If you’re in New York during those dates - go check it out!